Yesterday was the first official day of the Riviera Wine Academy, and I spent it working – which was good – but with the turn of the month and setting up a company in France (which feels rather like constructing something incredibly beautiful from papier-mâché made of €500 notes, and then setting fire to it), I did not have the time to compose a blog post. But I was thinking all day! I opened a ‘natural’ wine last night. Have you ever really, really wanted to like something and kept on trying with increasing despair at the results? Like olives, steak tartare, beer, fairground rides and so on for many people (not me! ), so-called natural wine does this for me. I do very much want to like it. Any new development in wine is, almost by definition, a good thing for a professional involved in any sort of wine communication. I like Isabelle Legeron MW, the French UK based doyenne of the sector, and the writing of Alice Feiring – another big fan - in New York is always absorbing and well argued. But the wines – for me – just don’t deliver. Firstly, I am not a fan of the appropriation of the word ‘natural’. It suggests that all other wine is ‘unnatural’, and with that I do not concur. Secondly, no-one really agrees what ‘natural’ wine actually is. I accept (without agreeing with) the principles of Biodynamic winemaking because I have tasted for myself that the end results are often stupendously good. This might be down to a placebo, dedication effect (and almost certainly is), but nevertheless, if the cap fits. And there are some truly, truly great biodynamic wines. 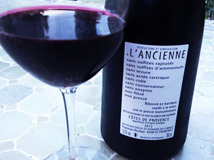 But I have yet to encounter a natural wine where I did not think that something supposedly ‘unnatural’ might not have improved it. And I have tried some of the good, but mind-numbingly pricey, wines of Frank Cornelissen and Josko Gravner. So, ‘natural’ wine is wine made by fermenting grapes without recourse to adding anything else whatsoever (although a lot of people actually do). Principally the added ingredient that natural wines do not have, but normal wines do, is Sulphur Dioxide (it will be a chilly day in Brimstone-land before I spell sulphur with an ‘f’ irrespective of what the chemistry people declare). SO2 is a natural anti-oxidant and preservative that has the added benefit of killing bacteria and micro-organisms (including yeast). Since at least the ancient Egyptians, mankind has used SO2 to control the by-products of, and prevent, fermentation. In fact, yeast itself actually produces some sulphurous compounds as part of the process. It’s about as natural as you can get. Yeast farts just like the rest of us do. You can dig SO2 from a suitable mountain. If, however, you let fruit fall to the ground and rot, as part of that decomposition process it will ferment (the white powdery ‘bloom’ you see on fruit is wild yeast). At some point a puddle of wine will form. And then it will start on its inexorable journey toward becoming vinegar (which is the end point of alcohol itself, and also the demolition of fruit acids). Catch this process at the precise ‘wine’ stage and you have ‘natural’ wine. Or so – I think – the theory goes. I don’t see why taming this process should necessarily be regarded as ‘unnatural’ any more than the cooking of food is, but I can see why the word was adopted. I have tried a lot of natural wines. Some taste of spoilage yeasts (you cannot control what composes the ‘bloom’) and these can be decidedly cidery. Oxidation can cause the colour to change – these are called ‘orange wines’, and vinegar – being natural – can be embraced. I have to say I just don’t get it. 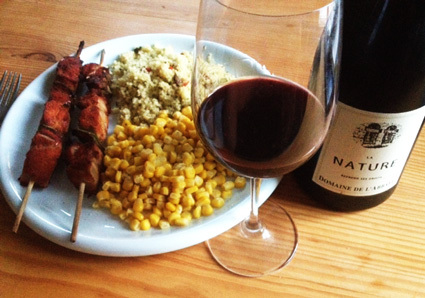 The wine I tried – am trying – is Domaine de l’Abbaye ‘Nature - Reprend ses Droits’ 2013. It’s a Syrah, although I had to look that up – the label just features a great long list of things that the wine doesn’t have, not any of those that it does. Sadly, to me it smells and tastes (a bit) of drains and effluent. There is plenty of fruit – which becomes more apparent after a day of being opened, but it is masked by a mucky, slightly rotten flavour. I have to wonder just how good this particular wine might have been if a judicious use of sulphur had been employed. It comes from the same producer as the Clos Beylesses Rosé, a - reliable if not quite bargain - stalwart of the Côte d’Azur in its trademark blue bottle. I admire their intentions, but I cannot admire the result. I wish I could. In other news, and to run the risk of emulating the wine postings of Neal Martin (whom I admire greatly, but since no-one is reading this it doesn’t really matter!) 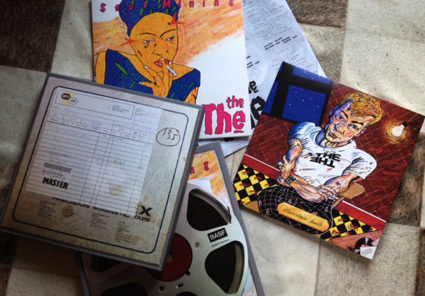 today in the post arrived a 30th (heavens!) 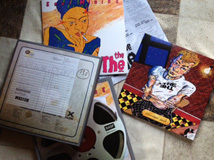 anniversary edition re-mastered vinyl pressing of one of my favourite albums - Soul Mining by The The. This album is somehow timeless and Matt Johnson’s lyrics were never bettered than when he had only just finished being a teenager. Of course the Jools Holland honky tonk piano solo on Uncertain Smile is a highlight, because it remains one of the best musical solos of all time on any album, but the whole record is a triumph of angsty-pop that has stood the test of time supremely well, and all the added extras in the box of delights are – for once – worth the effort, and will merit repeat revisiting. Especially if the wine to hand is a disappointing natural number with all its fruit sucked out by dogma and misplaced bloody-mindedness.